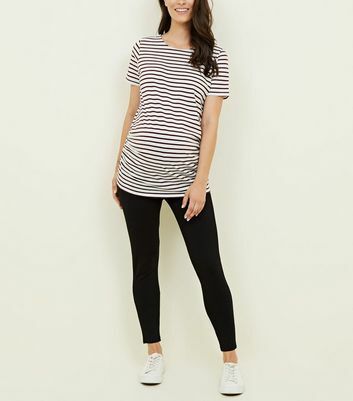 A must-have item for your pregnancy wardrobe, maternity leggings are a comfortable alternative to jeans and trousers, that effortlessly grow with your changing body. Chic and versatile, our pregnancy leggings can be teamed with dresses to tunics, allowing you to create stunning looks in seconds. Shop under and over the bump maternity leggings, or opt for staple black maternity leggings.